If you are planning a Colorado fly fishing vacation and you’d like to fish for trout, let me introduce you to the streams and rivers of Colorado. To have a great time on the water make sure you go prepared. Take along an extra fly rod or two, as well as extra line, sunscreen, bug spray, waders or a float tube, a hat, sunglasses, a catch and release net, drinking water, snacks, a vest or its equivalent, and of course several fly boxes loaded with dozens -- make that hundreds -- of flies (barbless, if possible). 1)	The Blue Mesa Reservoir was created in 1965 and is the largest body of water in Colorado. The reservoir was stocked with many Lake, Rainbow, Brook and Brown Trout. It is host to the largest Kokanee Salmon fishery in the United States. There are several marinas (i.e. Elk Creek and Lake Fork), restaurants (Pappy’s), guided fishing trips, and campsites. 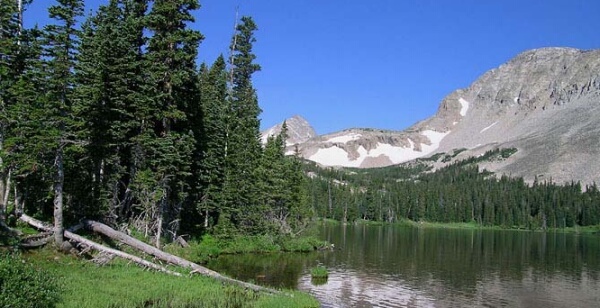 The Blue Mesa is located west of Gunnison, and is a fantastic fishery whether you are wading or drift boating. 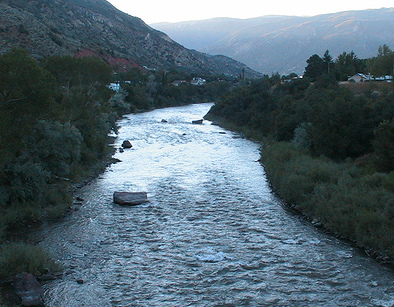 2)	The Animas River has been deemed a Gold Medal Water river for trout. 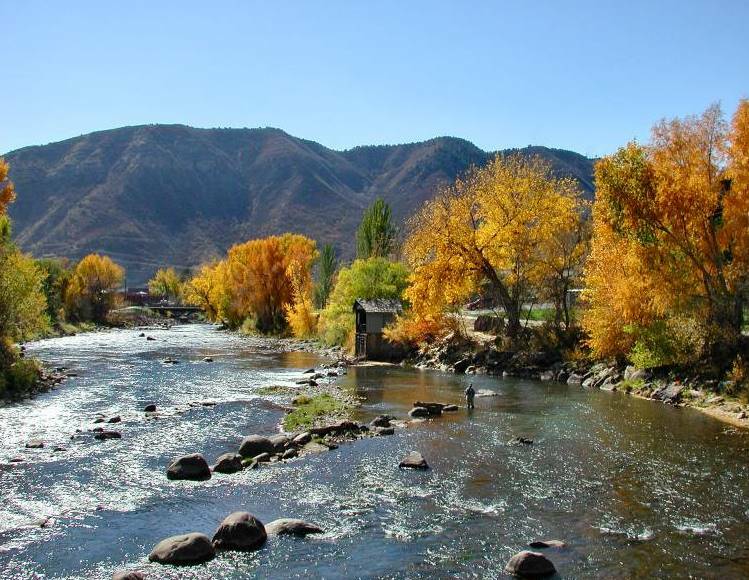 The river starts in Durango and flows to the New Mexico border, producing trout up to 18 inches to give you a great fight. It runs through the Ute Indian reservation in the southern section. You will need to contact the reservation for the proper permits and information. With all the bends in the streams, and the log jams, eddies, and boulders, all you have to do is hit the surface with streamers or nymphs to start having a good time. 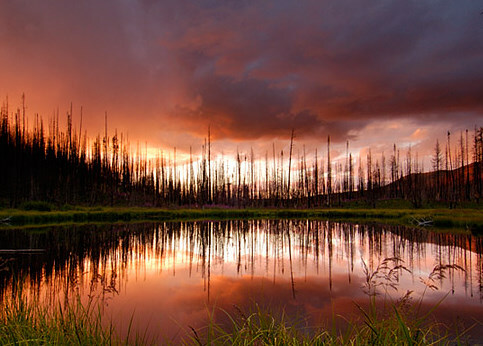 3)	Grand Mesa Lakes is home to more than 100 natural lakes and pure alpine-like water. These lakes have a very wide variety of trout. Although it is more famous for its wading, you can also fish the deeper waters with a boat. 4)	The Taylor River Reservoir is home to some of the largest Rainbow, Lake, Brown, and Cutthroat trout in the entire state of Colorado. The Caddis and Mayfly fly patterns work very well in these waters. 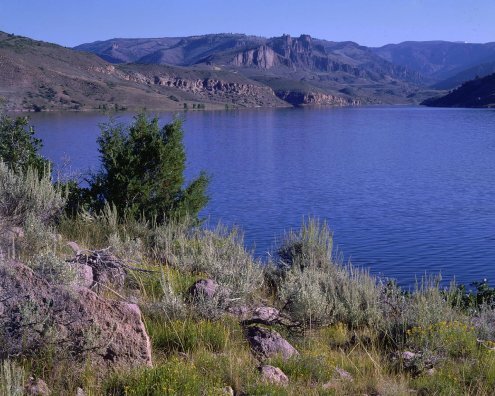 1)	Steamboat Lake State Park is a Gold Medal water in the Northwest section of Colorado, hosting Rainbow, Brook, Brown, and Cutthroat Trout. You will forget the picturesque landscape of Hahn’s Peak that is towering over the northeastern shore, once you start reeling in one of those hard fighting rainbows. If you like boat fishing the lake has 1,050 acres of deep water. 2)	Trappers Lake is a fantastic spot for fly fishing for Cutthroat Trout. ; Located off the Flat Top Trail Scenic and Historic Byway, it is covered with the largest population of native Cutthroat in the World. 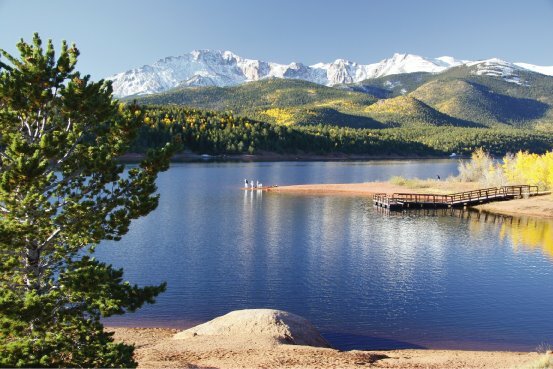 The lake is the second largest natural lake in Colorado. Using a gnat shaped fly during the late day brings many Cutthroats to the surface for feeding in this non motorized floating body of water. 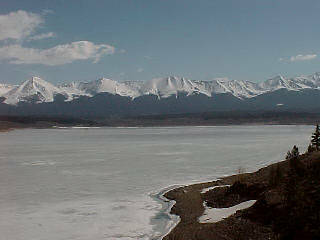 3)	Wolford Mountain Reservoir has 66,000 acres of surface water. This is a favorite spot for boat and float fly fishing, allowing you to pull in that lunker you have always wanted to catch. 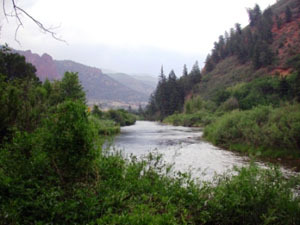 4)	The Yampa River State Park is home to the Brown, Brook, and Cutthroat trout. At the heart of the part flows a 134 - mile stretch of the Yampa River... It has 13 access points stretching from Hayden to the Dinosaur National Monument near the Utah border. The river access sites offer recreationists six camping areas, fantastic fishing on miles of flat-water and Class I-V river boating. 5)	The Fryingpan and Roaring Fork Rivers (also Gold Medal waters) are full of Rainbows and even Whitefish. Their miles of banks are home to monstrous fish that may require a cooler instead of a creel. It has been known to produce 10 pound lunkers caught on a monofilament just barely the size of tooth floss. Some areas are designated Catch and Release only, so please follow the rules; just bring your camera. 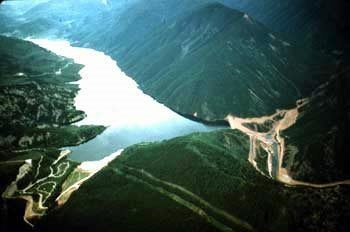 6)	On the spillway side of the Ruedi Reservoir Dam the force of the water from the dam sends large insects to the bottom of the river, and the fish in this area gorge themselves on these bugs 24/7, making the trout become humongous in size in just a short time. 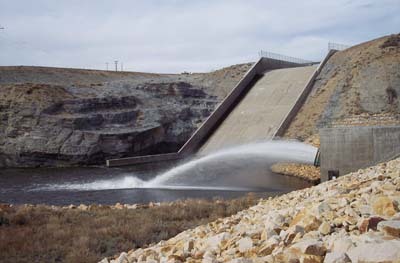 The dam is located just south of Glenwood Springs, between Basalt and Aspen. In Central Colorado, in an area known as South Park, lies Spinney Mountain Reservoir and the section of the South Platte River known as the “Dream Stream.” This is my favorite area of the state. You are now fishing on a plateau surrounded by 14,000 foot mountains and breathing crisp, cool air. Even if you don’t catch a single fish (which is highly unlikely), you will never forget the beauty of this area. Go on a unique Colorado fly fishing vacation and arrive home wonderfully changed from your experiences!! 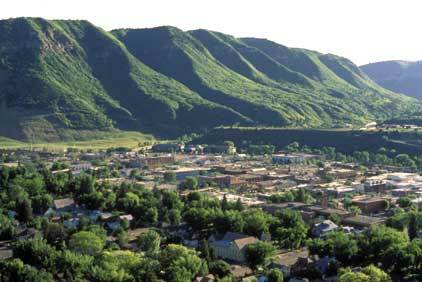 For more specific information on any area of Colorado, please go to Adventures in Colorado.com.